Arrive In Kathmandu (1300m ) . 3 Hrs. From Kathmandu (1300m ) To Phakding (2652m ), Via - Lukla (2860m ) . 4 - 5 Hrs. From Phakding (2652m ) To Namche Bazaar (3440m ), Via - Jorsalle (2824m ), Everest View Point (2921m ). 5 - 6 Hrs. From Namche Bazaar (3440m ) To Tengboche (3870m ), Via - Kyanjuma (3520m ), Phunki Thenga (3300m ). 5 - 6 Hrs. From Tengboche (3870m ) To Dingboche (4360m ), Via - Pangboche (3950m ), Tsuo Og (4050m ). 5 - 6 Hrs. From Dingboche (4360m ) To Dughla (4600m ), Via - Dusa (4428m ), Phulung Karpo (4491m ). 3 - 4 Hrs. From Dughla (4600m ) To Lobuche (4940m ), Via - Chupki Lhara . 2 - 3 Hrs. From Lobuche (4940m ) To Kala Patthar (5554m ), Via - Thangma Riju (5084m ), Gorak Shep (5170m ). 6 - 7 Hrs. From Gorak Shep (5170m ) To Perichche (4280m ), Via - Everest Base Camp (5364m ) . 8 - 9 Hrs. From Pheriche (4280m ) To Namche Bazaar (3440m ), Via - Pangboche (3950m ), Tengboche (3870m ). 5 - 6 Hrs. From Namche Bazaar (3440m ) To Lukla (2860m ), Via - Jorsalle (2824m ), Phakding (2652m ). 5 - 6 Hrs. From Lukla (2860m ) To Kathmandu (1300m ) . 2 Hrs. Is On Dynamic Pricing. Trek cost decreases with increased participation. Price adjusts automatically and decreases continuously as more people join the batch. It is not just dependent on your team size, but overall team size. Hence passing on the group discount benefit to all. Check out the Dates and Booking Page to find the Current Trek Fee which will again get lower with more people joining the batch. Actual cost applicable will be known later. You can now book the slot by just paying the booking amount. Welcome to a new trend of Trek Booking ! NO NEED TO BUY EXPENSIVES GEARS ANYMORE ! "The Everest Base Camp Trek is all about Mt. Everest " !! Huh ... No.. Not at all.. !! Okay, so lets talk about it.. 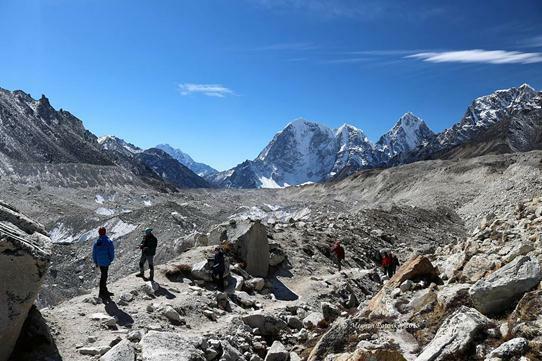 The Everest Base Camp Trek definitely offers stunning views of Mount Everest. On this trek, you do not just view the classic mountain from a distance, but you trek upto its base camp from where lots of mountaineers from different parts of the World, take their first steps on the mountain to reach its summit. Walking the trails through Tengboche, Dingboche, Lobuche and Gorakshep and then to Everest Base Camp, this is for sure a trek you must do to gift yourself an experience for a lifetime !! Tough the Everest Base Camp Trek is focused around Mt. Everest, but its not just about it. 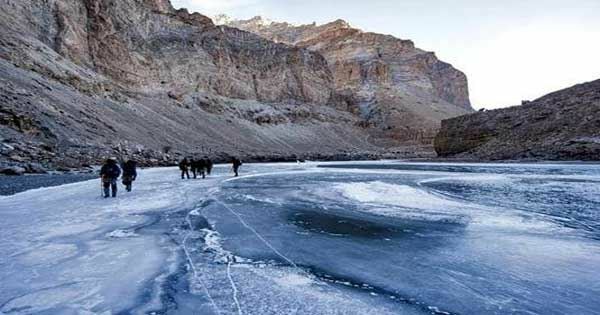 Its about so many other unique experiences you go through on the trek as well !! 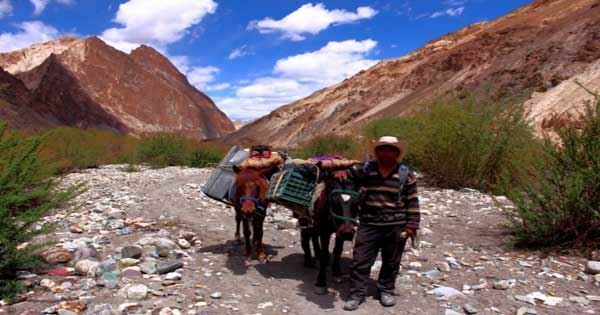 Simple Life Lessons From a Sherpa - While this trek is about the mighty Mt. Everest, its also about experiencing the always joyful, jolly and smiling Sherpas - one of the hardest human beings known on the planet. Isn't it an awesome realization to conclude that one of the Hardest people in the World are also one of the Happiest people on Earth. Yes, they are, just because they are very simple and the value of simplicity has no alternative !! The Everest Base Camp trek is also about experiencing the Sherpas, their way of life, their deep trust and faith in the peaceful preaching of Lord Buddha, their hospitality, elegance in the mountains, and so many other things. Here, its a chance to be inspired by them. You will definitely take back fond memories of them. Summit of Kalapatthar 5550 meters - On this trek we also summit the famous and strategic Kalapatthar. The truth is, Mt. Everest is not clearly viewed from the Everest Base Camp and is blocked. So a climb to Kalapatthar is much desired which offers grands views all round. The views from the top can't just be spoken in few words. 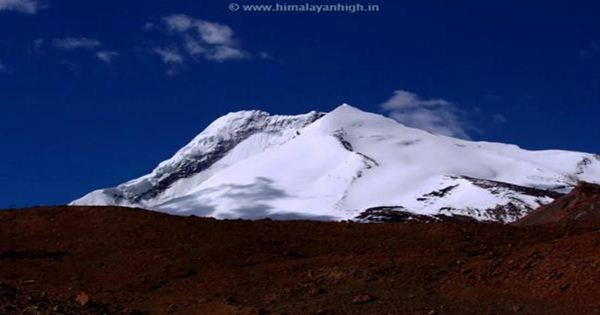 From Kalapatthar you get to witness the grand vista of the tallest mountains in the world. At 5554 meters, this is also the highest point of the trek. Views of Everest, Nuptse and Lhotse during sunrise or sunset will be to your soul's contentment. Experiencing The Most Turbulent Flights Ever ! The flight to Lukla is one of the thrilling experiences of the trek to the Kumbhu region. Experience one of World's most dangerous and exciting flight to board in the World. 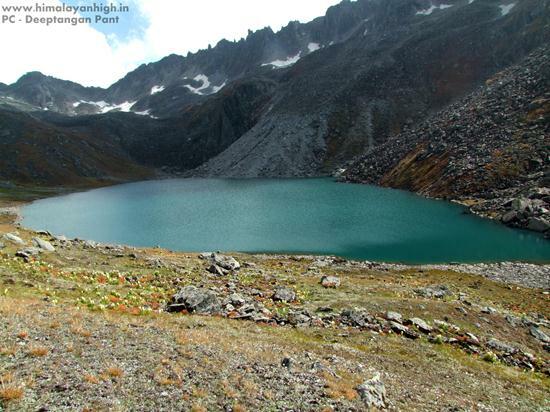 A grand Panorama of many mesmerizing peaks of the Kumbhu region - While this trek is about Mt. Everest, the other elegant peaks are great to see as well !! 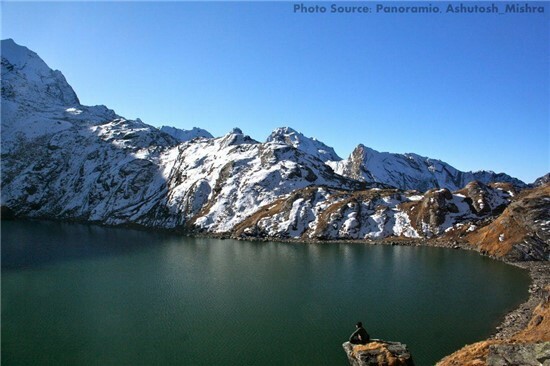 On this trek, also witness the grand panoramas of the snow cladded and mesmerizing peaks in the Nepal Himalayas. Apart from the views of Mt. Everest, Makalu, Cho Oyu, Lhotse, Nuptse, Ama Dablam, Thamserku, Kusum Kangri, Kang Tega, Tobuche, Lobuche, Cholatse, Pumori, Nirekha, Machermo, Khungde, Kongde, and lots of other peaks add to a beautiful experience. Get high on our Everest Base Camp trek to feel the Himalayan High in the mecca of Mountaineering. Check out our fixed departures or request a custom trek. We believe that a smaller group gives you the best of the Himalayan Experience and specialize in organizing customized groups for the Everest Base Camp Trek. Do get in touch with us if you want us to arrange this trek for you. You can use the link - Customized Plan For Everest Base Camp Trek to drop us an email with your specific requirements and service required. We will get back to you with the detailed plan and quotation as per the group size and service requested. Mt. Everest 8850m - World's highest peak. This trek goes to the base camp of the World's highest mountain, where mountaineers spends over a month to climb it. Array of High peaks of the Nepal Himalayas - Right from the time you take your flight to Lukla till the end, you get to see numerous High peaks of the Nepal Himalayas, namely Nupla, Kongde, Khumde, Thamserku, Kusum Kangru, Kangtega, Ama Dablam, Mt. Everest, Lhotse, Nuptse, Makalu, Cho Oyu, Machermo, Cholatse, Tabuche, etc. The thrilling flight to Lukla, World's most dangerous airport. Apart from the flying experience, the view from flight is breath taking. All high peaks of the Nepal Himalayas are visible. Trek through the rhododendron forest in the Himalayas. During the springs, the trail till Namche is colourful due to the blooming of the Rhododendrons. Birding and animal sight, if lucky. Sunrise and sunset on the mountain peaks. On booking a trek with us, you will be shared your hotel details of Kathmandu before you fly to Kathmandu. Upon arrival in Kathmandu, either by air, or by road, you will be directed or guided to your Hotel. Your trek leader welcomes you there and guides you to your room. 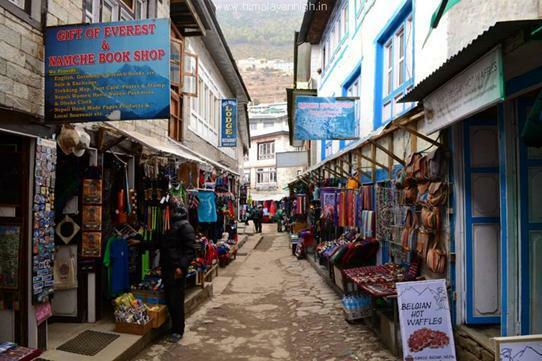 You may spend the rest of the day shopping remaining stuffs for the trek in Thamel, or take a local tour. We will meet over a welcome dinner where we get introduced to the team and share few important details for the trek. A feast on typical Nepalese cuisines after that and then we wish Good Night to each other. Our cabs will be ready to drive us to airport tomorrow. So be prepared and on time to board our flight to Lukla. Early morning, we leave for Kathmandu Domestic Airport. We board the 9 - 11 seater flight to Lukla. This airport has the reputation of being the World's Most Dangerous Airport !! The view outside from the window is breathtaking. All the white tall peaks of Nepal can be seen guarded by the greener ones. Remember to take your seat to your left while going, and to your right while returning. After some 40 minutes we experience a sudden landing which is not so smooth as we are used to. We then unboard the flight and land in the beautiful location of the Lukla airport. Once we collect our bags, we exit out of the airport to a have some hot breakfast before starting the much awaited trek to the Everest Base Camp. Today's trek is a short walk of around 7.5 kms, and takes about 3 - 4 hours with lunch time included. The trail is beautiful with lots of small Buddhist Chortens, Mane walls, prayer flags, terrace farmings of the Himalayas with tall mountains encircling you all round, and off-course - the suspension bridges crossing over the Dudh Kosi river multiple times !! On reaching Phakding, we check in to our rooms and ease out for the day. Today we criss cross the Dudh Koshi river several times through suspension bridges and climb up to Namche Bazaar at 3440m. The trail is very exciting and happening as you trek along with trekkers from different nations. 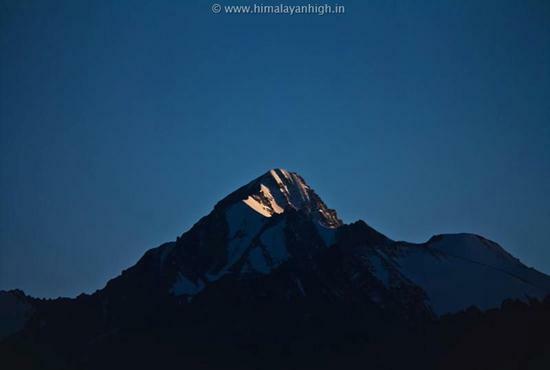 As you go on, Thamserku ( 6618m ) and Kusum Kangru ( 6369m ) rises elegantly on your right to keep you inspiring. We cross the settlements of Benkar, Chumoa, Monjo, to arrive at the entrance of Sagarmatha National Park. Our permits to enter will be made here. This place has a small museum inside worth checking while we get the permits done. We walk for some 30 more minutes more to stop for lunch at Jorsalle. We have another checking and the we are all set to negotiate the steep climb to Namche Bazaar. The trail initially goes down to the river as be walk beside it and then start to climb gradually. We cross another suspension bridge high up which can be seen much before we walk on it. From here, the trail zig-zags up to "The First Everest View Point". If the weather is clear, we can see Everest behind the Lhotse and Nuptse ridge through the leaves and branches of the trees. From here, Namche checkpost is an hour distance where we make our entries again. After getting it done, we head to our Lodge for tonight. Its some 30 minutes walk from here. On reaching, we checkin to our rooms and ease out for the day. We have reached a very good height today. Namche is a very important place on this route. Its an ancient trade hub which has flourished very well due to tourism. The place is surrounded grand views of Himalayan peaks. Don't miss the sunset behind Thamserku. Today we start the day to climb up to Everest View Hotel for acclimatization. From here, we can view the beautiful peak of Ama Dablam, Thamserku, The little hump of Kangtega, Everest, Nuptse, a little of Lhotse, Cholatse and Tobuche. This is at 3880m and gives us a very good altitude to acclimatize for the days to come. We head back to Namche for lunch. Post lunch, we may take a local tour of Namche. There is a monastery, few bakeries and shops. After yesterday's acclimatization walk and a much needed break in Namche Bazaar, today we start our trek towards Tengboche. All throughout the trek, we will get superb view of Mt. 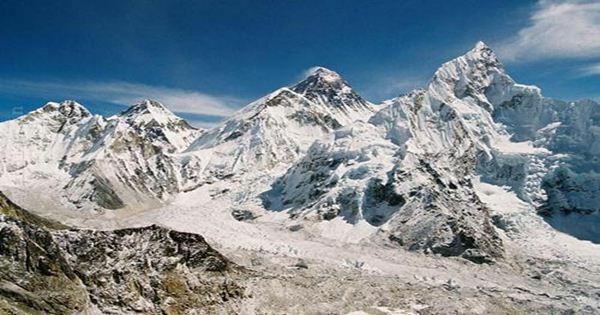 Everest, Nuptse, Lhotse, Ama Dablam and close up view of Thamserku if we are not unlucky. The trek route for the day is comfortable, following a gradual trail with few ups and downs, all surrounded by the magnificence and charm of the great Himalayas of Nepal. If you are further lucky, on the way we can also spot wild lives like the Himalayan pheasant, musk deer, or a herd of Himalayan Thar. 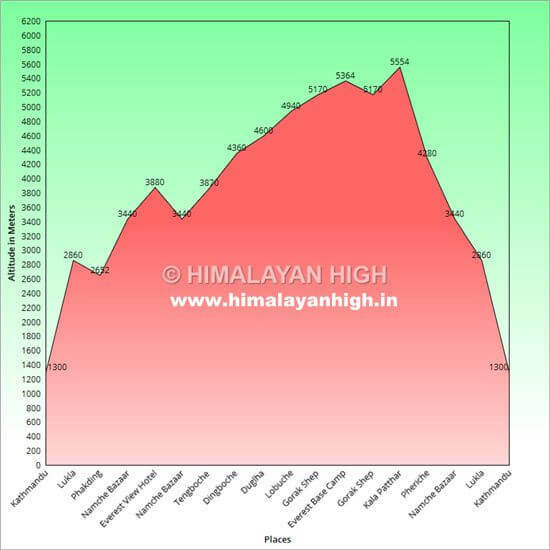 The trek route from Namche Bazaar till Kyangjuma is almost flat and a slight descend. The route follows till Sansa from where the trail splits. One goes to Gokyo valley, while the other one to the Everest Base Camp. From Sanasa, the trek is simple through the pine forests and crosses yet another bridge over the Dudh Koshi River to bring us to Phunki Thenga - a small commercial settlement with a few tea-houses and an army post. It is our preferred place to have lunch. Post lunch, we need to trek further, and slightly steeper to Tengboche. Tengboche offers excellent views of Ama-Dablam, Nuptse, and Everest. 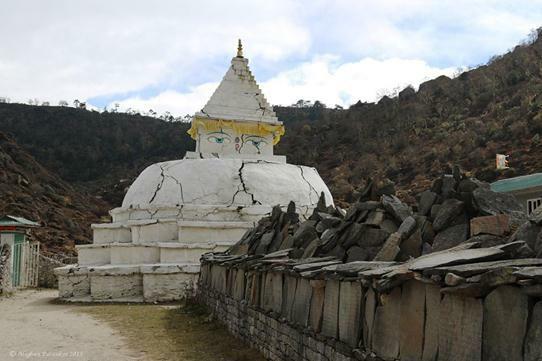 It houses the a biggest Buddhist Monastery in the region and is famous for pre-Everest climbing rituals. We visit it in the evening free time. A nice plate of hot Dal/Bhaat/ Tarkari is a pleasant way to end our beautiful day.Slowly and relaxed, we are approaching closer to the Everest Base Camp. Wake up to a peaceful morning in Tengboche. Today we head further up and closer to the Everest Base Camp. We trek till Dingboche. The trail to the village of Pangboche village is straight up after crossing the river. 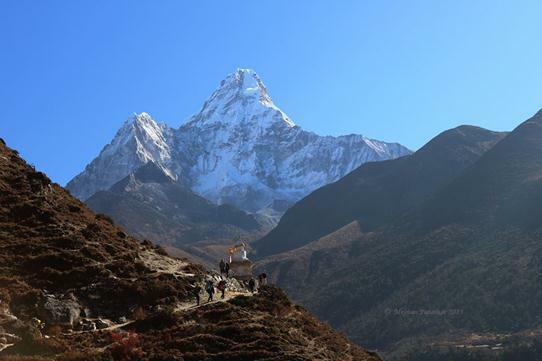 The views are just amazing with Ama Dablam dominating them all. It takes about a little more than 2 hours to reach Pangboche, where we can break for a light snack. This vilage once had become famous for the 'hand' which was believed to be that of a Yeti's. DNA studies proved it to be of a human being's. From Pangboche, a walk of another hour brings us to Tsuo Og where the trail splits again. One goes to Periche and another to the Imza Valley and Chukung. We take the right trail and continue on a steep trek to reach Dingboche. Most of the trekkers take a rest day in Dingboche. However, we advise, despite of resting in Dingboche move further for a short trek to Dughla. We do have a PAID BUFFER DAY. So use it strategically. Today, we trek to Duglha up along the Khumbu Khola. The views are just perfect surrounding us. 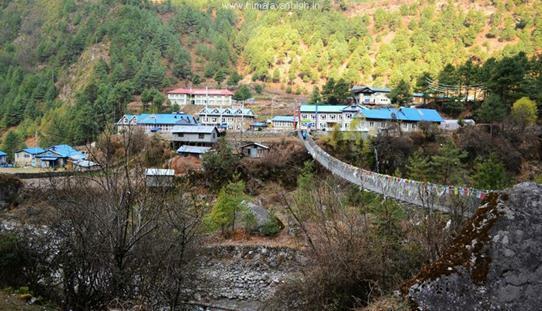 We cross by Dusa and Phulung Karpo to reach Dughla. The Chola Lake is located above the campsite of Phulung Karpo. Excellent views of Mt. Pumori greet us today. With views of Cholatse, Nuptse and Thamserku, Dughla is a nice place to be in and ideal for slowing our pace to the Everest Base Camp as we are trekking above 4500 meters. This will reduce our exertion and maximize our chances of better acclimatization. Today we take ourselves yet closer to the Everest Base Camp. Our day starts with a warm welcome by the sun and hot cup of coffee. 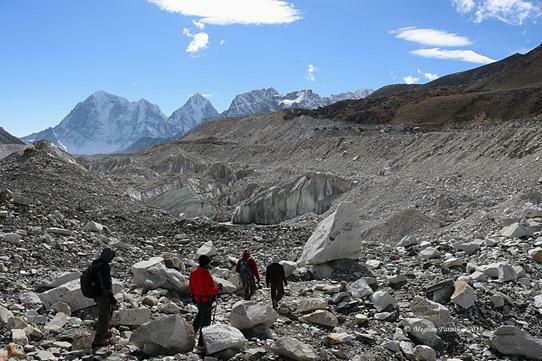 From Duglha, we trek up through the steep terminal moraine of the Khumbu Glacier. We ascend to reach Chupki Lhara from where great views of the surrounding panorama is sought. He we also find the memorials of the legendary mountaineer Babu Chiri Sherpa, who summited Mt. Everest 10 times and that of Scott Fischer. Soon, we are welcomed by the multiple peaks of Lingtren, the pyramid of Pumori and Khumbutse and other peaks of Mahalangur Himal. The altitude is high here and the terrain is rough too. Lobuche is just little ahead and soon we reach there. It was a short walk to day, and was totally aimed at acclimatizing better. 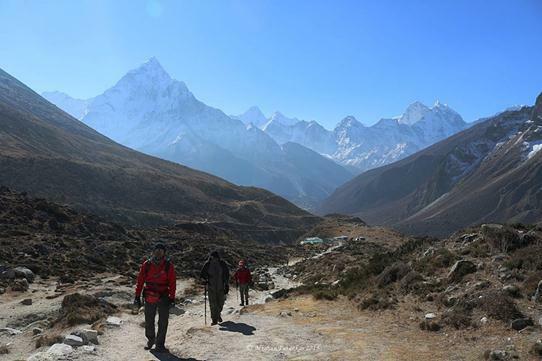 The trail to Gorak Shep follows the moraine of the Khumbu Glacier. A short trek to Thangma Riju will give us a chance to witness the grand vista of the mighty peaks. 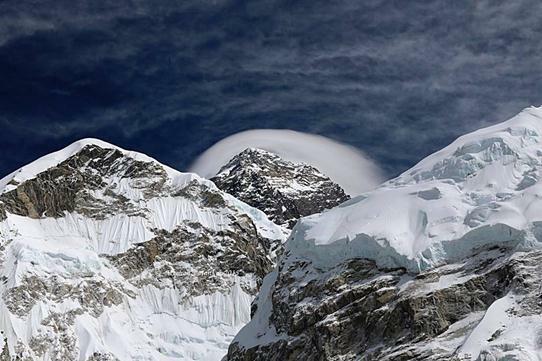 The north ridge of Everest along is visible besides Pumori. Mahalangur, Lingtern, Khumbutse and Nuptse, etc makes it a rewarding sight. Its a 360 degree vista from here. Enjoy it !! After enjoying the view, we then climb up steeply along the Changri Glacier. There we get the first sight of Kala Patthar beneath Pumori. 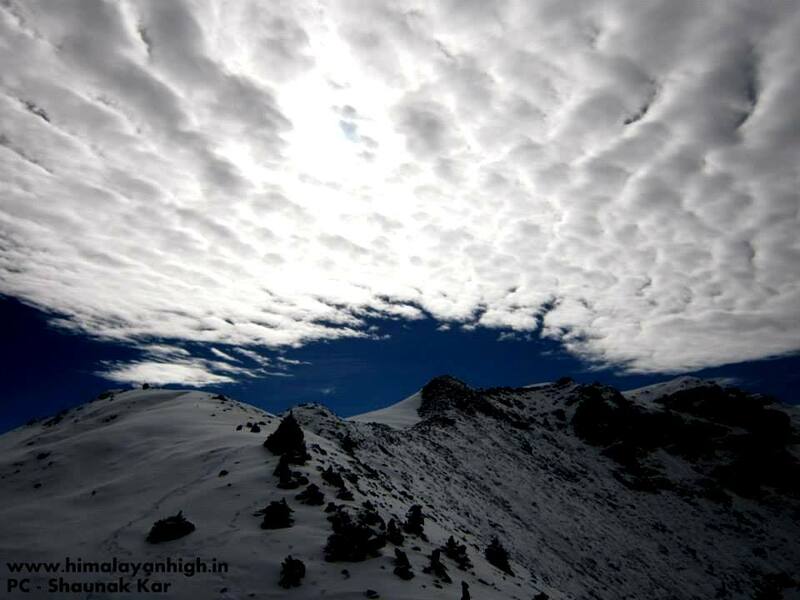 Gorak Shep is a place where you are surrounded by snow cladded mountains all round, including the top of the world - Mt. Everest. 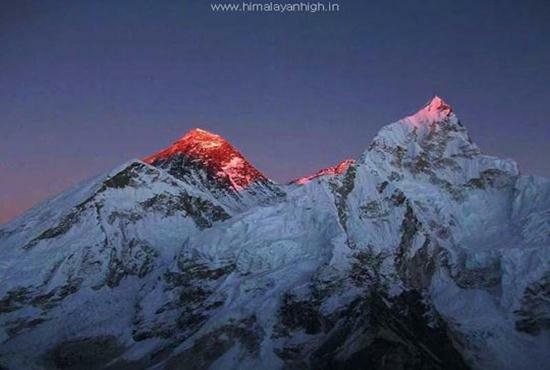 The dusk view from Kala Patthar is more honorable than the dawn view, so it is proposed to visit Kala Patthar today amid nightfall. As the setting sun's beams strike the snow topped mountains the subsequent view is incredible. We begin well in time post lunch to get the sensational perspectives of the surrounding view from Kala Patthar seeing the last light of the day reflecting on Mount Everest. Recognizable peaks, to the likes of Lingtren, Khumbutse, Changtse tower toward the east even as Everest uncovers itself between the west shoulder peak and Nuptse. Amid the climb to Kala Patthar, we rest multiple times to catch for some breath as it is a demanding climb, and also to capture few extraordinary perspectives of the mountains. After a strenuous climb for some hours, we reach Kala Patthar. 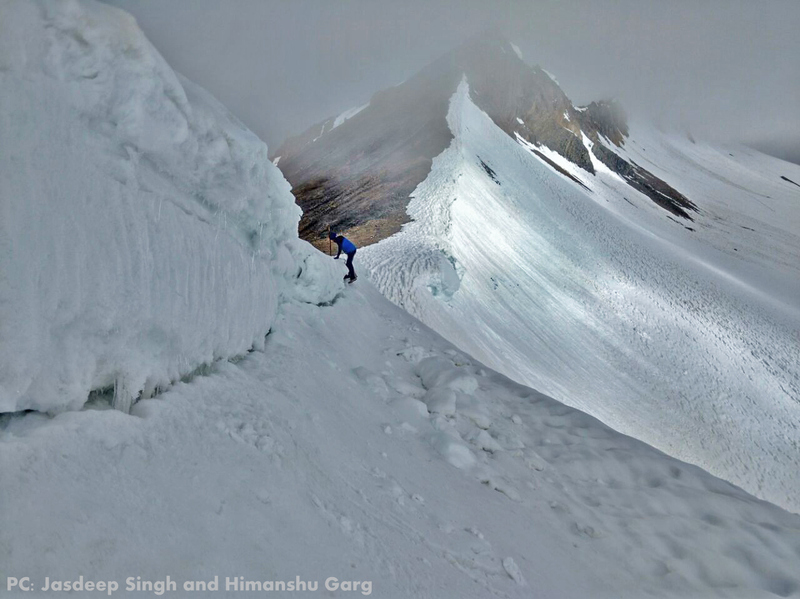 We scramble few rough patches and reach the summit set apart by cairns and prayer flags. As we are on the top, we enjoy some of the most unimaginable Himalayan Panorama, meandering relentlessly between one massif and then onto the next. We take the greatest number of pictures as we can and bring seep in the perspective - a moment to last lifetime. We return to rest at Gorakshep tonight. We will be visiting the Everest Base Camp tomorrow.. so we sleep excited !! Today is the climax of our trip. 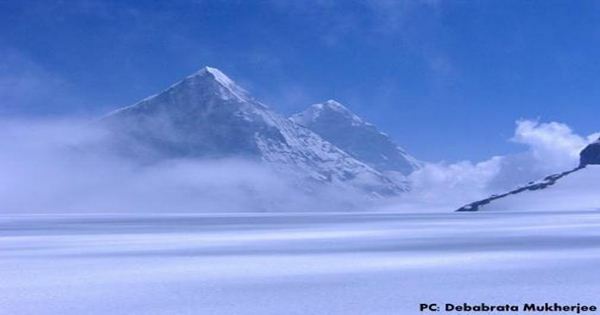 We will visit the base camp of Mount Everest - The highest mountain of the World !! After a good and quick breakfast, we take the trail leading to the Everest Base Camp through the Gorak Shep Lake. Proceeding straight ahead, we pass by our Army's (India Army) Mountaineers' Memorial. After tackling the glacial moraine of Khumbu glacier, we reach the Everest Base Camp. It from here where mountaineers attempt the summit of the glorious mountain. Mt. Everest is hidden from here and Nuptse, Khumbuste and Pumori are the mountains we can see from the base camp. Having reached here, we have completed a part of our trek, living it to the fullest. Now its time to return within the safe time as we need to push to Periche for the night halt. We have completed our objective to trek till Everest Base Camp. Now its all about getting ourself safely back to Lukla and then to our home. 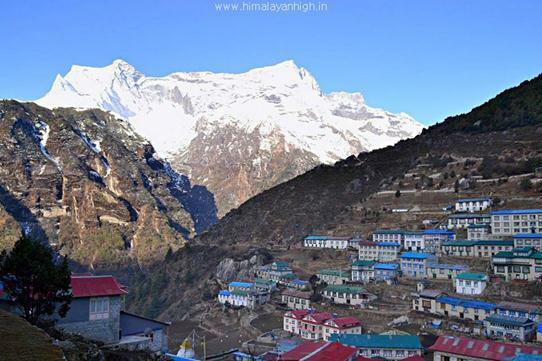 Today, we trek down till Namche Bazaar, and since we are well acclimatized, we can't believe how fast we can do so. From Periche, we trek down to Pangboche and then retrace our route to Tengboche, Phunki Tenga, Sanasa, Kyangjuma and then finaly to Namche Bazaar. We have lunch as per our choice enroute Namche Bazaar. Once we reach Kyanjumma, do savor the last views of the glorious mountains. Today we bring an end to our trekking days. We retrace our steps back to Lukla. Brief Details Of The Day: This Rest Day can be utilized anywhere between Dingboche and Periche or used to shorten the trek distances. Today, we fly back to Kathmandu and checkin into our Hotel. We spend the day in our own way and according to our own priorities. Show may shop for family and relatives, while some may rest, while some may go for river rafting, bunjee jumping or temple visits. You may also get a tattoo done. We meet for a farewell dinner at night. 2 Nights Accommodation in Kathmandu on Bed and Breakfast basis.. DYNAMIC PRICING: Our pricing system is Dynamic and the price is not fixed. 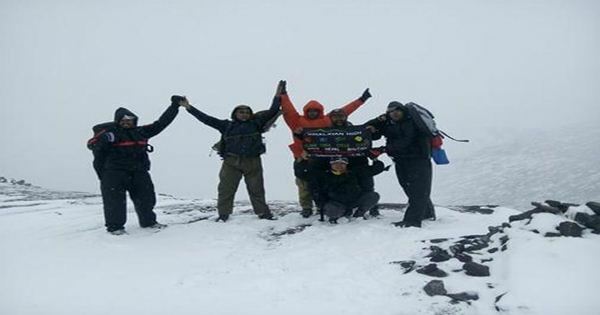 Rather, it is based on the 'actual' team size which joins the trek with you and passes on the group discount benefit to all the members, irrespective of your own group which might be a Solo Trekking Member or a group of 2 or 3. We consider it a TEAM right away from the Booking process itself. The cost is initially on the higher side and as the team size increases with more participants, the price per head comes down. You pay as per the team size you trek with. Bigger the team, Lesser the trek fee. Our minimum team size is 2 and maximum is 15 members. Booking Of Trek And Payment Of Trek Fee: We initially charge just the booking amount to keep your slots booked. The final price shall be known later as the team builds till the closing date for a batch. 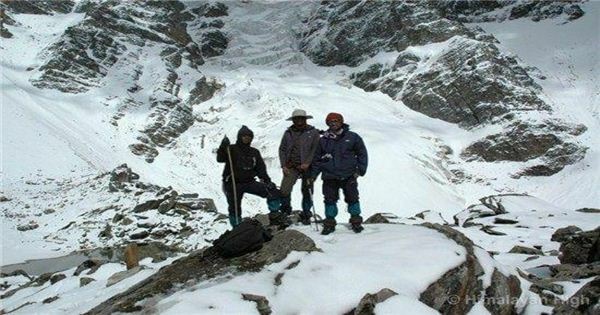 Balance amount needs to be paid 1 month before the trek start date as per Actual Trek Fee applicable ( as per the group size at the time of team finalization). Any difference amount, if any, will be either charged or refunded at the time of joining the trek, but before start of the trek. Your invoice will detail all the historical changes made on the invoice amount as per bookings and cancellations, and you can see the changes online. Everything is managed through online automated systems and integrated payment gateways facilitating numerous modes of payments - from credit cards to upi. We facilitate International payments through PayPal, TransferWise and various other Wire Transfers. Washing area and sack bins to collect waste. On few of the extreme treks, we provide hot water bags and expedition down jackets as well. We are headed by owners who are Search And Rescue Certified by UIAA and Indian Mountaineering Foundation, apart from being Basic and Advanced Mountaineering certified students of Mountaineering aspiring and practicing within their work itself, to become successful Climbers and Expedition Leaders themselves. Each one of them bring lots of on-field experience in the Himalayas to Himalayan High. Being sincere students of the same sport itself, we understand and believe-in, the importance of safety on such adventures in the remote corners of the Himalayas. climbing boot, crampons and gaiters. Techniques, Medical Safety And Other Safety Measures: We teach snow technique and self arrest a fall on snow slopes in base camps. Medically, all of our groups are equipped with Oxygen cylinders, pulse oxymeter to monitor individual blood oxygen saturation and pulse rate. We carry High Altitude Medical Kit accompanied by a experienced and capable leader. We use wireless sets and available mobile signals for efficient communication and coordination. Safety Gaiters and Ice Traction crampons are always provided which has many times proved to boost confidence of an amature trekker or has saved experienced trekker from a casual slip and fall. Most importantly, we trek in Small Groups increasing safety and success on summits as well. Infact, our summit success ratio over 6000 meter peaks is envied by many. Everything is a result of a well planed, safe trek. From food to sleep-comfort to safety. Finally, In all of our treks , we pay attention to and breed the culture of Positive Attitude. We teach, to motivate and boost, the intrinsic sense of adventure inherent in a human being - be it for survival, adaptation with the unknown environment with excellence, possessing the heart that cares for the Ecology, and a Mind that likes winning over the challenges - Be it Life, or the Mountains.. In that process, we too learn constantly, bettering Himalayan High day by day... We believe that any Himalayan trek is not worth if it does not make you a better and harder human being. INTERNATIONAL GUESTS: Trek cost for foreigners is slightly higher than the cost for our Indian guests, mainly due to higher permit fee applicable for admission to National Parks or protected forest areas. Sometimes, it may be higher due to local crew wages and other specific arrangements we make to ensure a safe, comfortable and enriching travel experience in India. However, we absolutely DO NOT 'hyper-charge' our International guests ever and at the same time, ensure that we meet all the standards for highly qualified trek leaders and guides, safety, medical preparation, evacuation strategy, rescue arrangements, eco-sensitive travel, high value knowledge sharing about the area and customs of the locals. 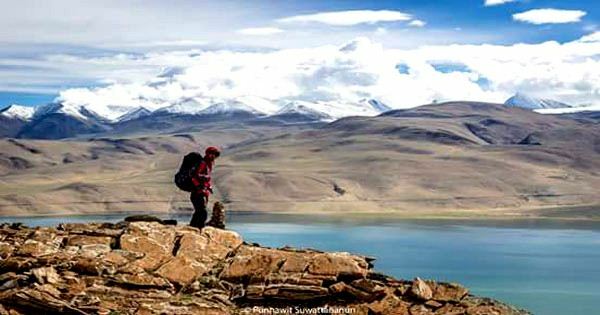 PRIVATE GROUPS: We love to trek in smaller private groups as we believe that it gives the best ambience to experience the Himalayan spirituality, serenity, solitude and rawness. Small private groups are also eco friendly, safe, easy to manage and more caring towards each other. Most importantly, private groups are more focused towards their objective, specially for difficult treks above 6000 meters. They can be customized to suit your needs. On the other hand, they cost little more due to more dedicated resources. We specialize in arranging customized private groups catering to your specific needs. Contact us to request a private group for your team. Can we buy SIM card in Kathmandu ? Yes, you need your passport and photo to buy a sim for yourself in Nepal. We recommend you buy NCell service. International Trekker need to show valid Nepal Visa for buying a sim card in Kathmandu.It will cost any amount between 300 to 500 NPR. You can then top up with call value and data packs. How much budget should I keep for fooding alone on the Everest Base Camp trek ? Keep a budget of 2500 to 3000 NPR per person per day to include all 3 meals, hot water, some snacks, etc on each day It falls down to the same average. Lower camps are cheaper, higher camps are expensive. How much cash should I carry for this trek ? You should carry cash to have meals in Kathmandu and on the trek. To answer to unplanned expenses like Lukla flight schedule, bad weather, extra nights on trek, emergency rescue etc. For food you should keep about 25000 to 28000 INR. For other unplanned expenses, you should keep about 5000 to 10000 INR. Emergency rescues are very expensive and costs as high as 3500 USD sometimes. However, for this, you can keep your passport as a security and release it after arrangement of the payment due to the helicopter rescue agencies. If you buy insurance, you will be shielded from these unplanned expenses. Do keep some extra money for tipping the guides and porters. They usually expect that you will tip them after the trek completion. Should we tip the guide and porters. If yes, how much is a good amount for tip ? Yes, tipping is not mandatory but has become a general practice. The guides and porters will expect to be tipped for taking good care of you on the trek. The usual amount can be anything between 2000 to 4000 INR for such a long trek. Anyways, it's not Mandatory and it's upto your judgement to tip or not tip. Can we exchange money easily in Nepal ? What's the best way to manage cash in Nepal ? Best way is if you can carry cash upto 25000 INR in smaller denomination currencies and get it exchanged in the border. All ATM cards do not work and there is extra fees for every transaction done in the ATM.